Brazil’s first Formula 1 World Champion, Emerson Fittipaldi is a legend of motorsport. His career started with Lotus in 1970 and his first win came only in his fourth Grand Prix. Fittipaldi won the championship in 1972 driving the Lotus 72D becoming the then youngest champion in history. Then, he became McLaren’s first Formula 1 champion in 1974 at the wheel of the McLaren M23. The Brazilian won 14 races and achieved 35 podiums in his F1 career. 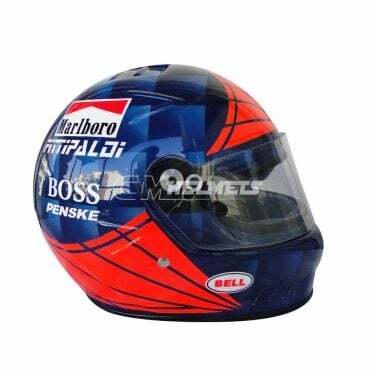 The largest catalog of Emerson Fittipaldi replica helmets is for sale at the best prices.